This is just one of those places. 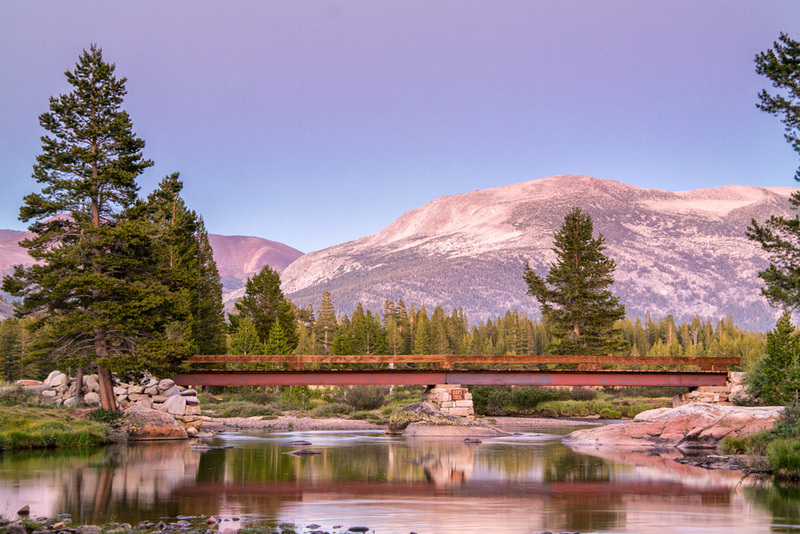 You hear about it, you see pictures of it, you read about it, and if you’re a nature-lover or photographer, or better yet, both, you’d be hot damned if you that’s the one you didn’t get to cross off your bucket-list. 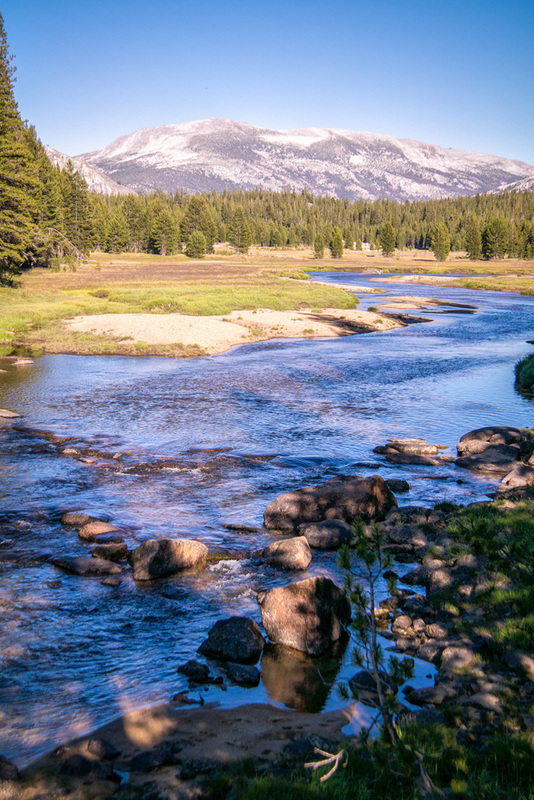 Tuolumne Meadows, Yosemite National Park. The mystique around this place runs high. It’s been called a ‘photographers paradise,’ as well as one of ‘the most difficult places to photograph.’ The thing about it is, it’s closed off most of the year. The picture-perfect gentle alpine meadow bordered on all directions by soft granite domes and spires, and blanketed in pines and wildflowers and berries and natural grass, lies in the highest of high countries in the Sierra Nevada Mountains, so Tioga Road, the only one that passes through, is snowed in on average of 7 months a year, and on top of that, the meadows are ‘meadowed’ for only about 3 months of the year (as a local park guide so eloquently put it). Furthermore, those 3 months just so happen to be the absolute busiest months of Yosemite National Park’s schedule, but, as stated in Part 1 - Mammoth Lakes, there was no way I was not going to seize this unexpected and completely spontaneous opportunity to make my way to this alleged garden of Eden. 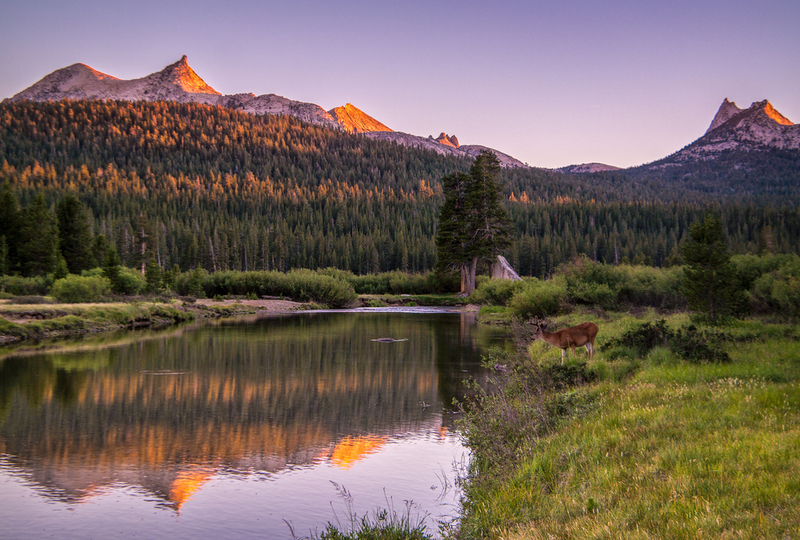 I pulled onto Tioga Road at about 4pm, with about 4 hours before sunset, which I figured was enough time to at least explore a bit and find a place I was going to call camp for sunset. 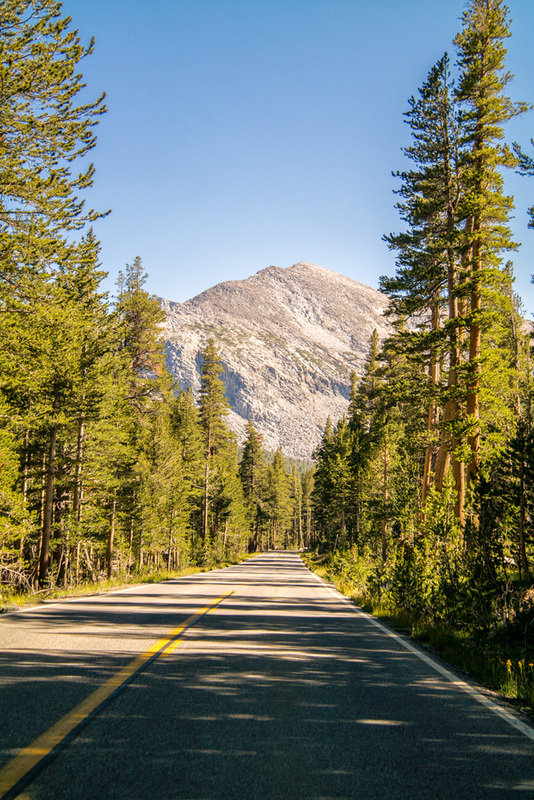 As I wind my way up and through the Tioga pass from Lee Vining on the Eastern Sierra side, I slowly rolled through the sort of landscape that dreams and fantasies are made of, the kind of place you thought only existed in cartoons and psilocybin - crystal clear sky blue cascading streams and rivers snaking their way through saturated green grasses and tress of various sizes and varieties, flanked by sun soaked rolling hills comprised of rolling granite domes and lodgepole pines. As I drove through at about 10 miles per hour, I literally found a tear in my eye - I was in absolute awe of some of the most striking, insanely unreal scenes that would trump a psychedelia-soaked dream. I won’t lie. I was overwhelmed. How the hell was I going to only spend 5 hours here? I figured since I only had this afternoon, I’d stop by the visitor center and ask for a few tips. The nice lady was hesitant at first to give out one of her favorite spots and secrets, but after she found out I was a State Park volunteer, she figured she was in safe territory and loudly ‘whispered’ a tip. I thanked her kindly, and went to follow her tip as I made my way around a particular dome. I hiked in for about 35 minutes before realizing I had no flashlight to get back out, and this was bear country, and I was finding myself in a maze that wouldn’t be ‘fun’ to try to scramble out of after dark. While the landscape was absolutely breathtaking as I followed the river through a forested part of the meadow, I had a scene in my mind and this was taking me away from it. 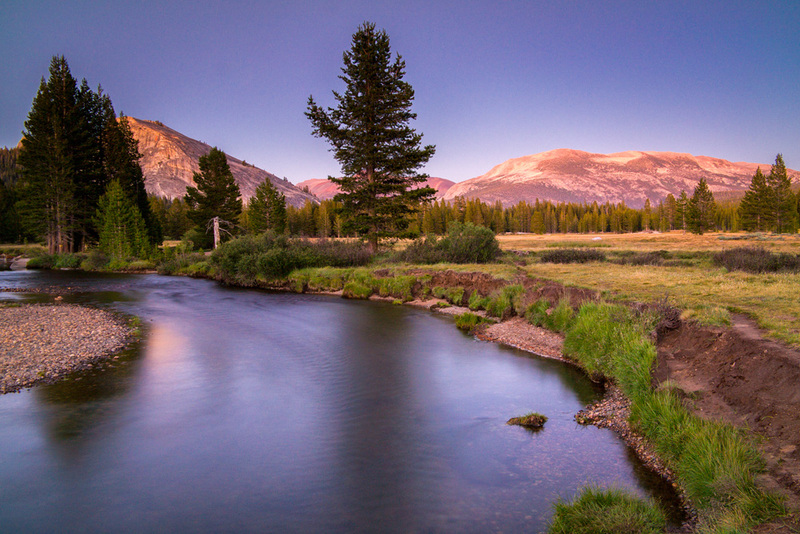 I wasn’t going to be able to get the sunset colors with the snaking stream through the meadow I had envisioned. After a quick glance at the clock, I had to make a decision quick as I was less than an hour from sunset. I hastily decided to hike back out, and head down the road to a more open part of the meadow and just hope I can find something I’d be happy with. I truly felt so overwhelmed, that I was absolutely certain that I wasn’t going to get a shot because I made the fatal mistake of running around looking for the best one, but made peace with it when I just figured I’d come back the next day now that I have a bit of the lay of the land. And I certainly wasn’t going to cry about that. 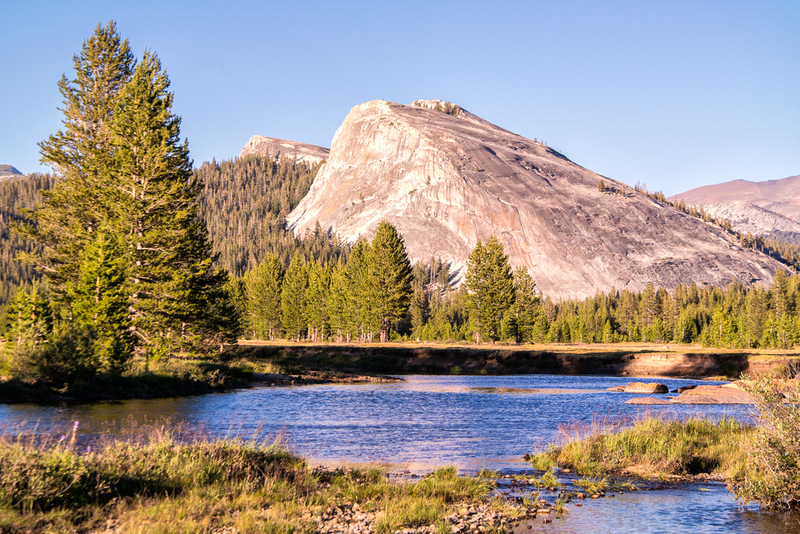 Plus, I may not get the shot I had envisioned, but, I’m in Tuolumne Meadows at sunset, I’m sure as heck not walking out with nothing! So I slowed my roll, took a breathe, and decided I was just going to enjoy this one. I hiked into the riverbank, sat on a rock to soak in this paradise, and right at that very moment, is when I found and saw my shots. All within striking distance of where I started walking around like a crazed half-bearded madman. 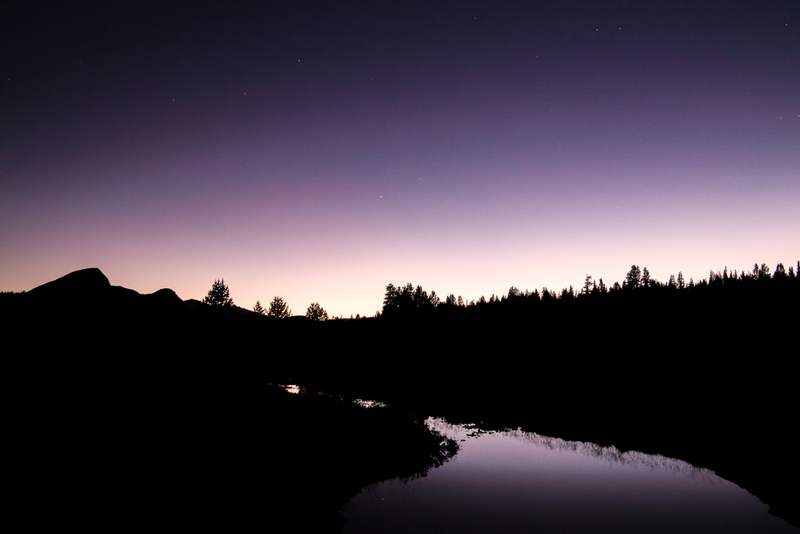 The most surprising was a shot that ended up being one of my favorites, it was well after the sun had set, and I had already packed my gear and was using my phone's flashlight to find my way back out to the road. 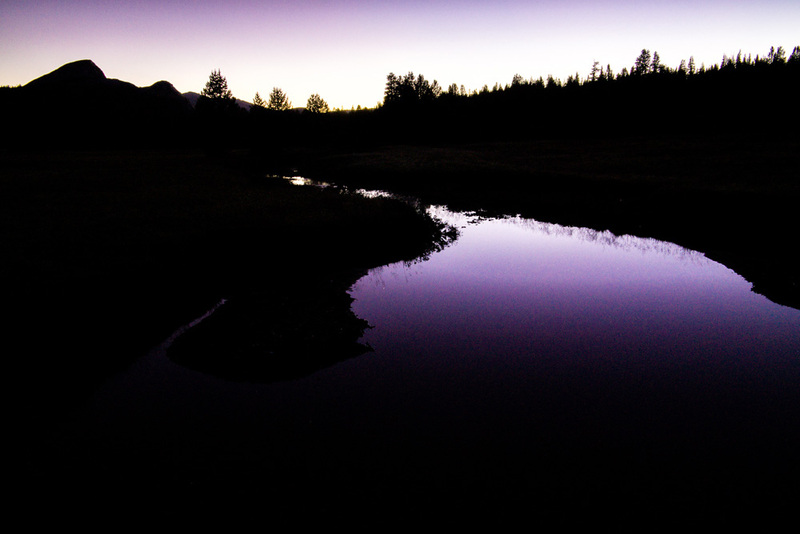 That's when I ran across the purple twilight light reflecting in a small pond and playing with the shadows of the landscape just off the path. I had to do it - I pulled out my gear, set up, and spent about another 30 minutes after dark playing right there in that area. So here’s a bit of a gallery of my favorite images from that afternoon, all of which were shot on a Samsung NX30 using a Samsung 18-200mm lens. For Part 3, Mono Lake, click here. 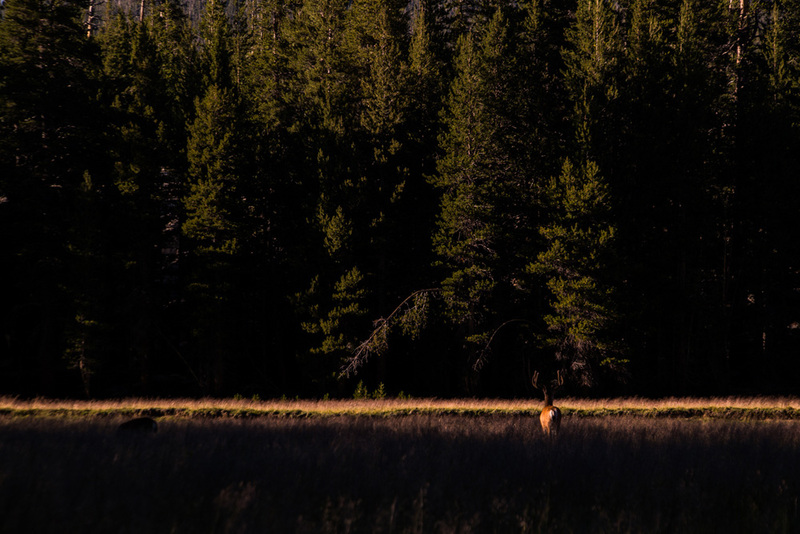 And in case you missed A Surprise Journey Through The Range Of Light – Part 1 - Mammoth Lakes, click here.